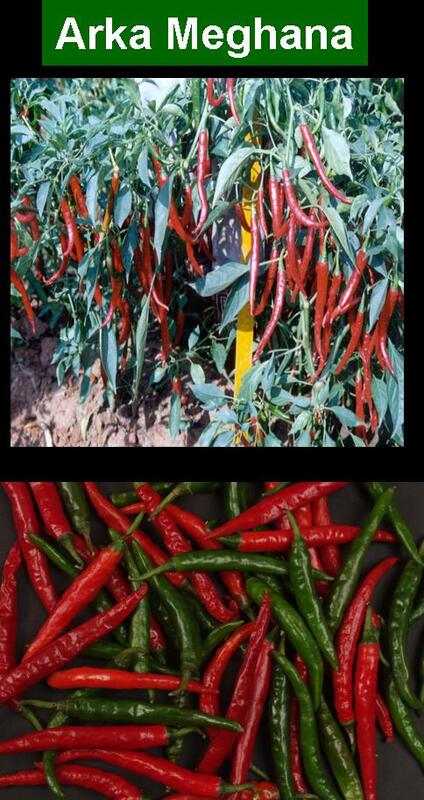 High yielding chilli F1 hybrid developed by using MS line. Plants medium tall (81.3 cm) & spreading 69.5 cm. Fruits long (10.6 cm) with width of 1.2 cm. Very early, taking 24 days for 50% flowering. Fresh yield of 33.5 t/ ha and dry yield of 5 t/ ha in 140-150 days. Fruits are dark green and turn deep red. Tolerant to powdery mildew and viruses.